Tubbber brings sailing and having fun on the water within everybody's reach. We provide a safe way to let your boat or to rent a boat, any time, anywhere, any place. We started using Criteo to optimize our adwords campaigns. Marketing people are fond of it. Before we were using just Google Apps, but we get better feedback by using Criteo. We focus on tools that help us convert our leads into actual rentals. We use Salesforce for customer relationships. They are very expensive but we couldn’t be without them anymore. 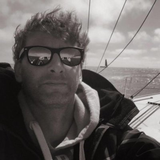 Everything is connected with Salesforce and we get notifications on our customers' favorite sailing areas, their budget, etc. This allows us to predict when they decide to make a rental. We collect data from every social network to find out who is most likely to make a purchase. 90% of our internal communication is by Slack. If I check them all, I know exactly what is happening in the office. I like Slack because it reduces the email load a lot. If you have a short question you can just Slack it. We use it only internally because the companies that work in the boating industry are mostly small family companies so people have never heard about Slack. For emailing we use SendGrid; we are in their startup program and they help us with everything. We use SendGrid for our transactional emails for now, but we want to move everything to it. MailChimp is also great, but we do not send out many newsletters. We mostly use our local network. We use Adyen. It’s the same system that Airbnb uses. It’s acceptable. They have a nice tool to make appointments. We like JIRA for bug reporting. It connects with Slack and Zendesk. If a customer has a problem, they can report it on our website through Zendesk that then opens a ticket on JIRA.